Reception can get busy so please leave a message if you can’t get through at first. 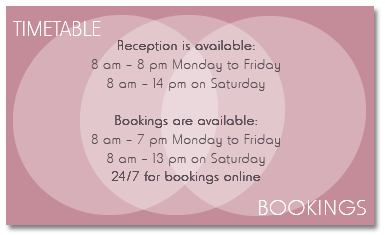 We can also take bookings via email on web@natureseq.com or by filling out the contact form. Please kindly state the techniques that you would like to book for (if you have a preferred one) and the preferred dates and times. We will come back to you with the closest availability. Give the gift of health, pampering or a new experience with a gift voucher from Nature’s EQ.